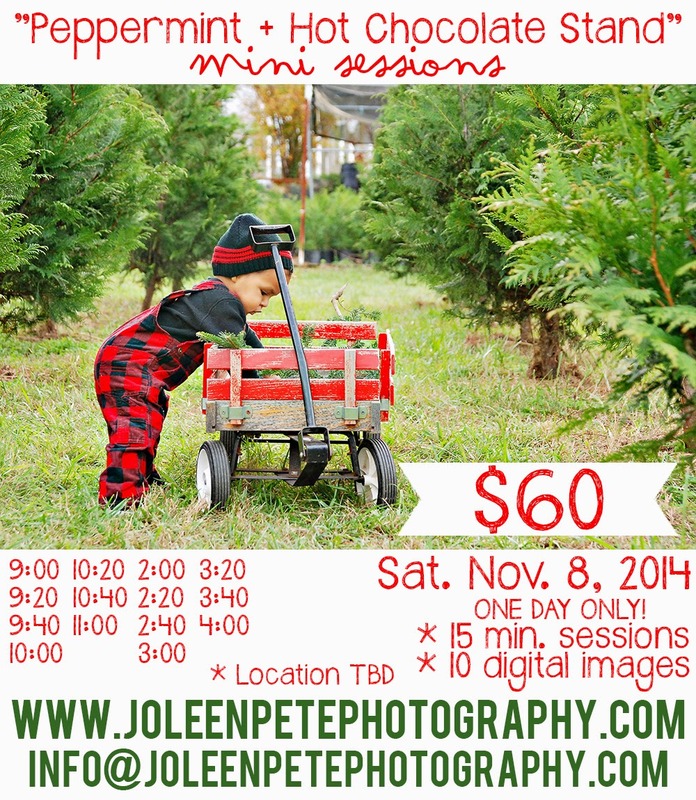 The Peppermint + Hot Chocolate Stand Mini Session is a ONE DAY event! In similar fashion to my stylized "Kissing Booth" sessions for Valentine's Day this year, I'll be hosting "Peppermint and Hot Chocolate Stand" mini sessions. (Location TBD). *These sessions are for children only and siblings are welcome to share a session slot.